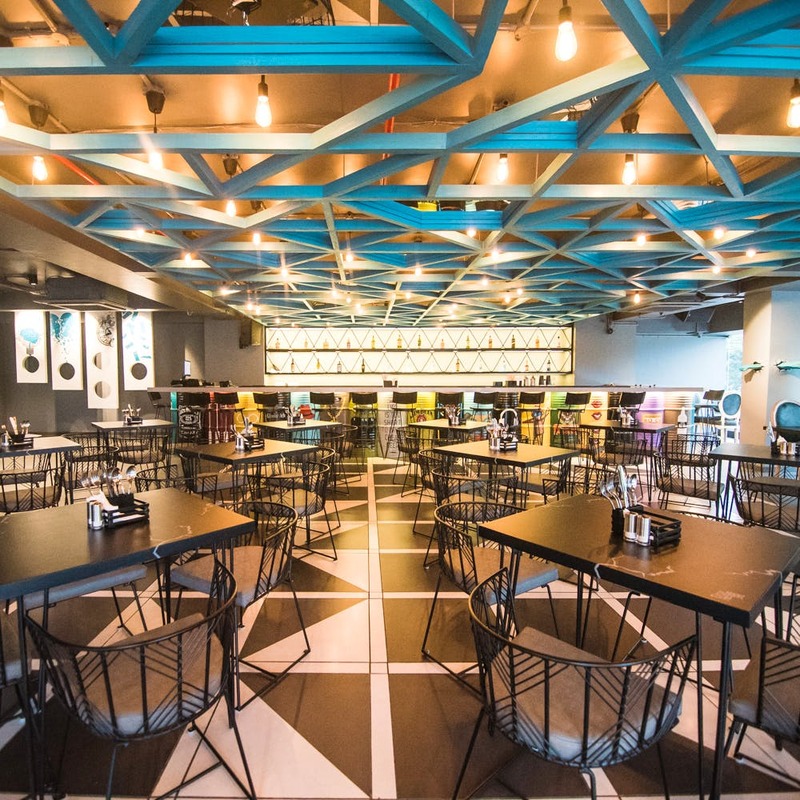 The Break Room bistro in Baner, with a special decor of breaks and cracked designs and statuettes, offers exciting deals every day to perk-up your mood. When we entered this casual dining bar, we were mesmerised with the decor which seemed to come out of Pinterest. True to its name, it had cracks and illusion of broken designs everywhere. The bar had a barrel-design which was quite similar to any cowboy Texan bar. We love the Vibrant colour-scheme and that you can relax and watch your favourite teams play at their sports screenings. We loved that there is a great variety when it comes to food. For starters, we had Asian wonton cups. With char-grilled outer pastry and savoury filling with cheese, they are definitely drool-worthy and on our list for our next visit too. Next, we had mains consisting of Californian-style with asparagus tempura and curried lotus-stems. While the sushi was flavourful with tempura filling, the lotus-stems had the sweet-savoury sauce perfectly infused in them. If you are in a mood to try out meaty dishes, they have them in Oriental, Indian as well as Pan-Asian styles. In fact, if you are in a mood to have Indian, try their butter chicken and chicken tikka which are a specialty. We loved the sea-food dimsums (prawn and coriander), Korean chicken bowls and lemongrass chicken starter that was perfectly cooked and plated. The bar menu is elaborate as well. Try their watermelon mint iced tea if you want to refrain from alcohol. We got to know that this place offers exciting deals on food and drinks throughout the week. We suggest you check their Instagram handle to know the deal of the day and their music gigs. Since they have just opened doors to the public, there are many drinks that the bar is yet to add. We hope to enjoy some crazy mixes on our next visit. This is for all the lovely ladies out there. Head to this place with your girl gang and enjoy unlimited drinks on the house every Wednesday.